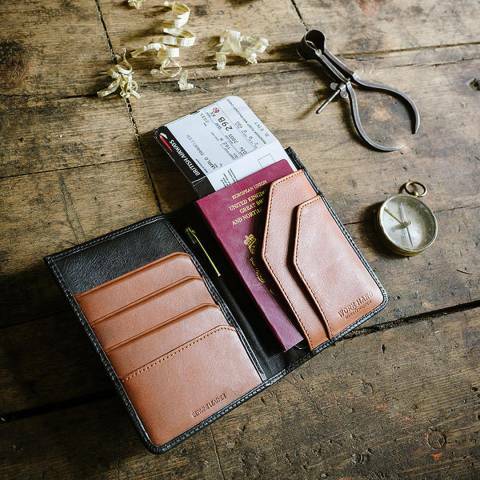 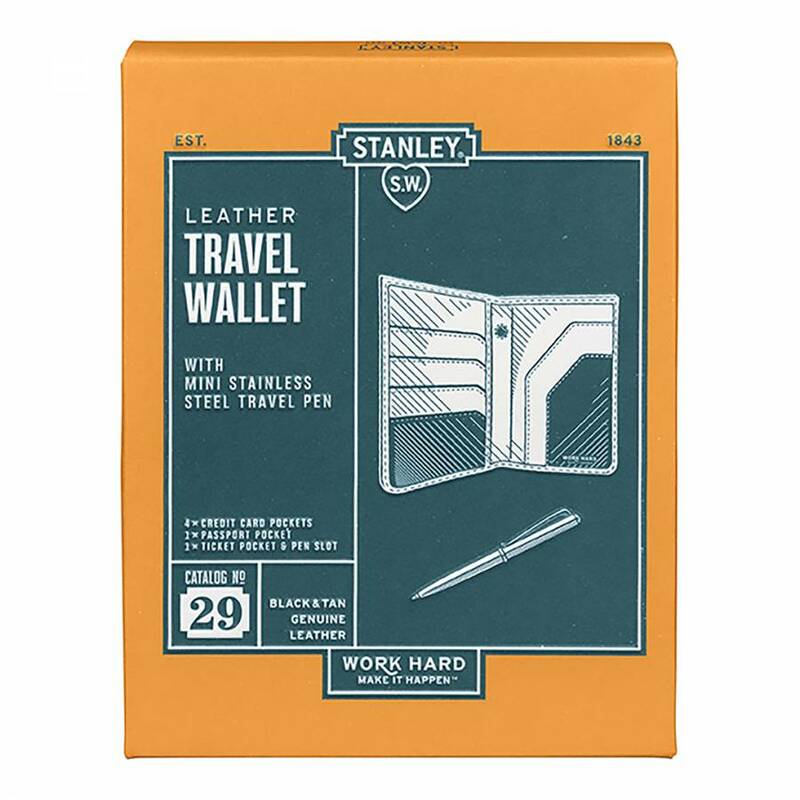 This STANLEY Black & Tan Leather Travel Wallet includes a mini stainless steel pen and features four card pockets, passport pocket, ticket pocket and space for the pen. 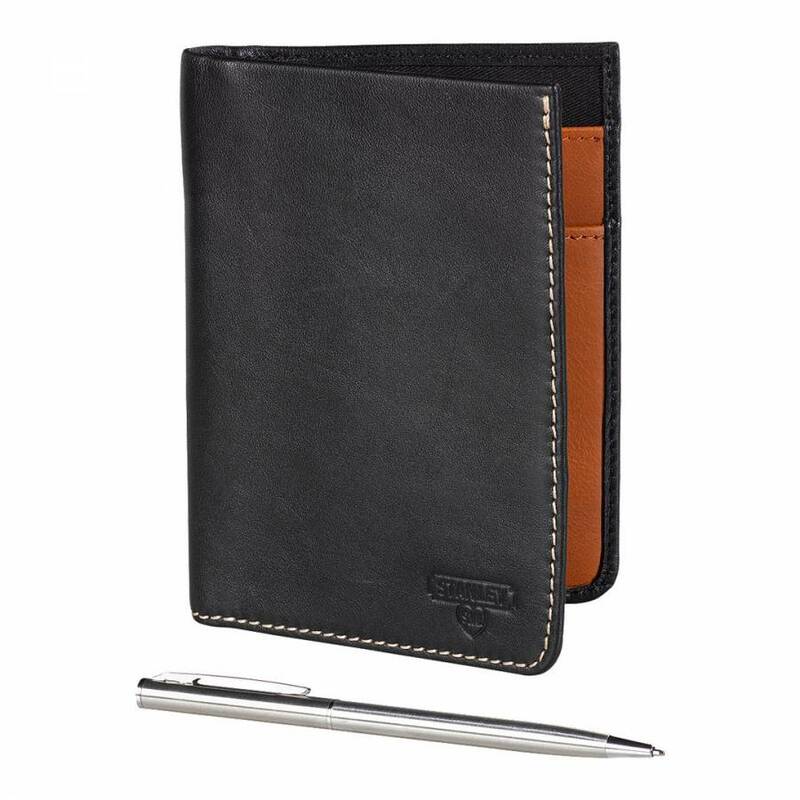 Made from genuine leather in black with a tan interior and contrast front stitching, it has the STANLEY logo debossed on the front. Presented in a STANLEY branded gift box.